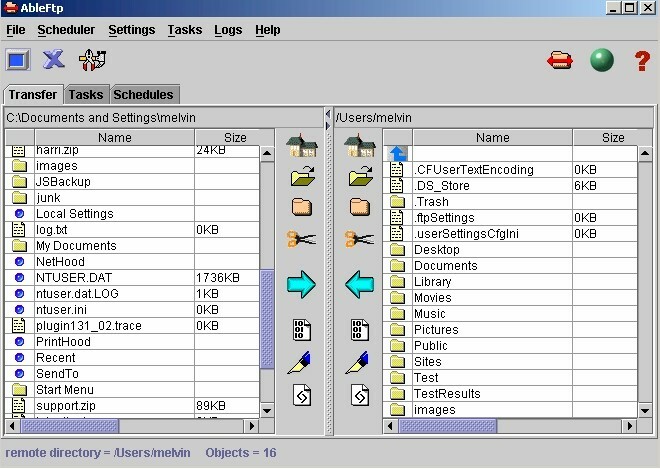 AbleFtp – FTP client designed for automation. Run 1000+ FTP tasks a day. You can create advanced FTP tasks that can be scheduled automatically or run instantly. Supports a very flexible wildcard system to transfer multiple files at once. Supports subdirectory transfers. Can automatically save files based on date/time or customized names. Comes with a powerful and flexible task scheduler. Email Notification of task failure based on task exit code. Remote Ftp and local directory monitor can detect directory change and trigger FTP , zip, copy, delete tasks. Can also detect file size, total files, file modification dates and trigger other tasks if required. Multiple Connections; Unlimited simultaneous threads. Unlimited FTP browsers can be opened. Proxy / Firewall support SOCKS5, SOCKS4, SOCKS4A, HTTP Proxy. Backup Features: Copy, Zip, Unzip tasks; Automatically Caches Remote Directories during automated tasks. Easy to use. No programming required. SFTP client (secure FTP) designed for automation of SFTP, FTP and related tasks. Run 1000+ tasks on a schedule. Goal is to create advanced SFTP and FTP tasks that can be scheduled automatically or run instantly. Supports a very flexible wildcard system to transfer multiple files at once. Supports subdirectory transfers. Can automatically save files based on date/time or customized names. 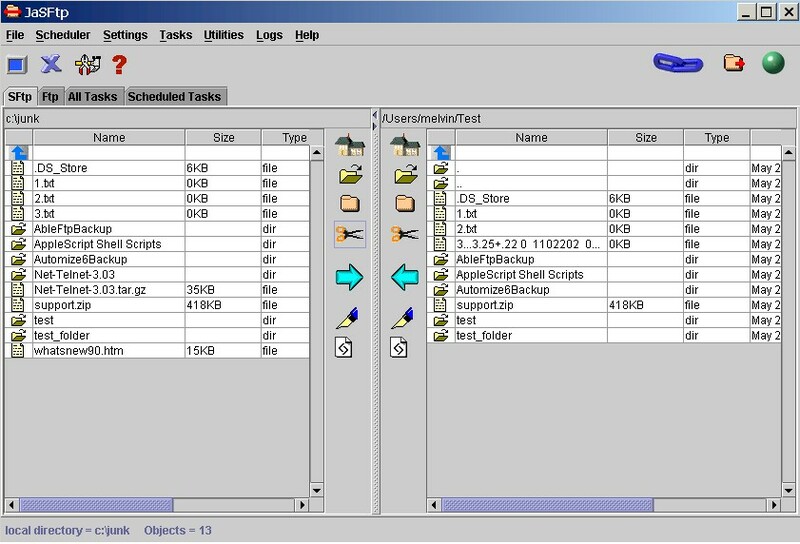 Comes with a powerful and flexible task scheduler. Email Notification of task failure based on task exit code. Remote SFTP, FTP and local directory monitor can detect directory change and trigger FTP , zip, copy, delete tasks. Can also detect file size, total files, file modification dates and trigger other tasks if required. BENEFITS OF STARTING A NEWSPAPER There are many benefits?as you will discover as you read through this guide. Newspapers can be incredibly well received by your community, especially ?niche? or theme oriented newspapers, in this day and age of the declining dailies and weeklies. People still like to read, they just are more selective in what they read. Here is a summary of why you may want to start your own newspaper and what you may expect: – It can generate its own income to pay for itself while promoting your interests at the same time. – It can generate a profit to help with extra income for any reasons of your choice. – It gives you much, much more room to deliver a message than a flyer or newsletter. – Advertising in a newspaper is inherently accepted by everyone over any other type of print media. – It is an accepted format. Businesses of every kind are more than likely to carry your newspaper and ?theme? papers are enthusiastically received. – It offers many ways for members or your business or organization to be involved. – It allows you to establish relationships with businesses and helps to get them to invest in your cause. – People are more apt to read it because of the diverse content centered around a general theme. – You can promote your causes, values, teachings, and advice in a much more profound way. – You can establish yourself as an expert in your field. It helps you establish credibility. – It will dramatically increase your name recognition. – It allows you to get your message out for free or for little investment! THINK LARGER THAN A NEWSLETTER A newspaper can do so much more than a simple newsletter. If, however, that is your only goal, you will find the prices at MakeMyNewspaper more than competitive to anything else you will find. But with the increased space a newspaper provides?in comparison to a newsletter?the newspaper can become an invaluable arm of information. A folded 22×14 sheet of paper gives you 4 pages at 11×14 inches. Compare that to your typical newsletter and you can begin to see that a newspaper can accommodate much more space than a newsletter can at a fraction of the price. Don?t think ?newsletter?. Think instead ?newspaper!? PICK YOUR ?NICHE?, NAME, AND SIZE Choosing the right niche is essential to the success of your newspaper. A niche is a corner or section of the overall market you will be addressing. There are many different issues, programs, causes, and problems, products, and services you could write about. But it is important to remember that your newspaper, in order to become a staple in your community, needs to be somewhat predictable to those who are interested in it as well as something you are knowledgeable about. For example, one church chose a ?family niche? and therefore all the articles primarily dealt with family issues. People have come to anticipate their next publication because they are anticipating the articles on the family. Your newspaper name and content is based on your chosen niche. Warning! Don?t get so specific in your niche that you exhaust all your content in only a few issues. For example, one church calls their paper, ?From Tragedy to Triumph?. This gives them much more flexibility in supplying content. They can deal with addictions, abuse of all kinds, and other types of success stories. Choose your name based on your niche. Choose the size of your paper based on your ability to fill it with good content. The titles of the articles need to be catchy enough so that if someone happens to pick up one of your newspapers and just glances at the front, they see something that may appeal to them right away.